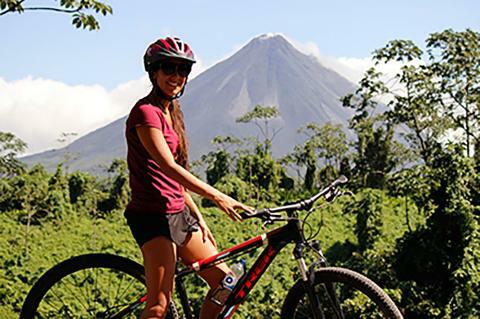 We just discovered this awesome single-track trail near the the Arenal Volcano National Park and you're going to love it! 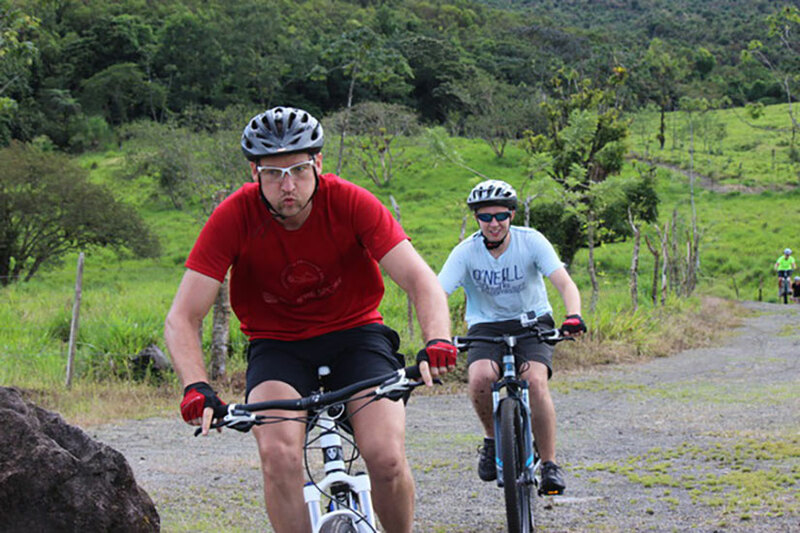 It's got all the perfect elements for an excellent mountain bike ride in Costa Rica. This is an intense 19 kilometer trail run through farmlands and deep rainforest. 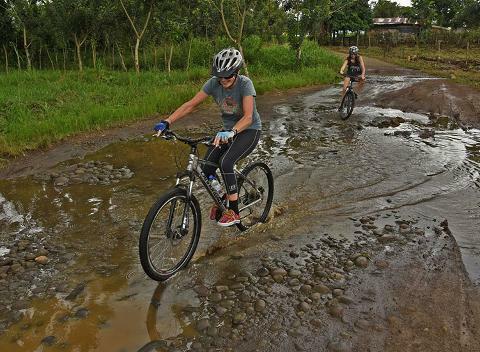 You will even cross rivers and thrash through mud puddles. Get prepared for the ride of your life! 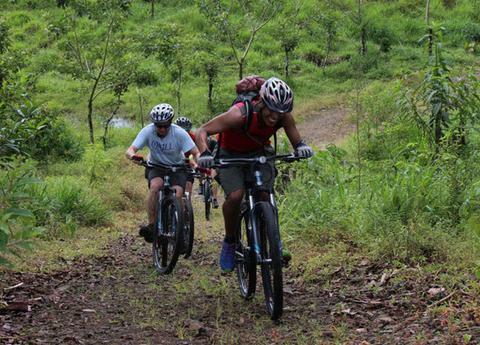 Our single-track madness trail provides you with a variety of interesting scenery and different levels of challenges. 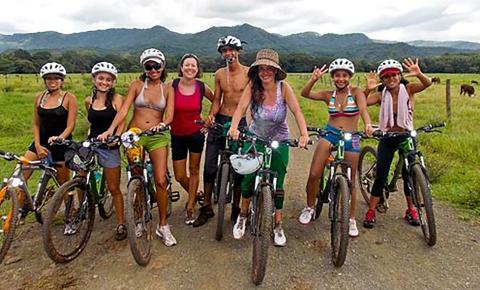 You will also see spectacular views of the Arenal Volcano and impressive forests that surround you. Half way through the bike ride, you'll stop and enjoy a delicious and refreshing snack before you finish the rest of this exciting ride!